Someone planning to evaluate or develop with the reader and required a power source to power the reader. Good for working on a lab bench. Provides an antenna, antenna cable, tags, and all miscellaneous cables, brackets in a carry case for one-stop-shop evaluation. • EPC Gen 2 Interoperable. • High read rates for demanding applications. • Enhanced noise rejection for reliable data capture in noisy environments. 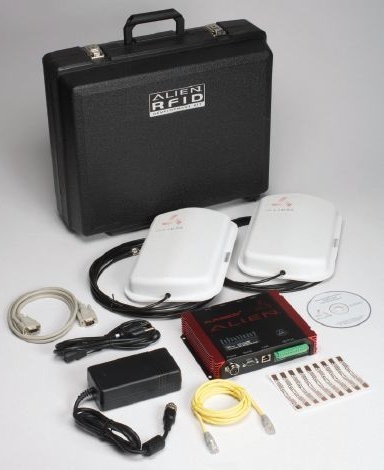 • Easy integration with RFID software. • Small footprint (8” x 8”) and easy monostatic antenna layout. • A flexible API with broad software support. • Robust dense reader interference management.